Courtesy of ORLANDO REALTY & PROPERTY MGNT. Immaculate home in desirable gated community of Island Lakes, a community of Logger 8217;s Run. Bermuda Model with many decorator features and a 8220;bonus sized 8221; family room. Split plan- 4 Bedrooms with built in closets in 3 rooms. The master walk- in closet displays 150+ pairs of shoes! 3 full baths, 2 car garage, 42 foot patio with huge covered area with vaulted ceiling and screen enclosed in ground 30×15 swimming pool. 4th bedroom converted into home office with built in cabinets. Recently upgraded Tuscan kitchen with granite counter tops, island with raised bar height eating area, roll out shelves in all bottom cabinets including the 36 8220; pantry, soft close cabinet doors, 50 bottle built in wine refrigerator and new stainless steel appliances. This home features a beautifully etched glass wine room that holds 216 bottles of wine. Large indoor laundry room with washer, dryer and floor to ceiling shelving for convenient extra storage. AC unit replaced in 2016. Quiet and private oasis on canal in back yard. Secondary outside patio with fire pit 8211; great for a hot tub! Please, send me more information on this property: MLS# O5741963 – $549,900 – 11870 Island Lakes Ln, Boca Raton, FL 33498. 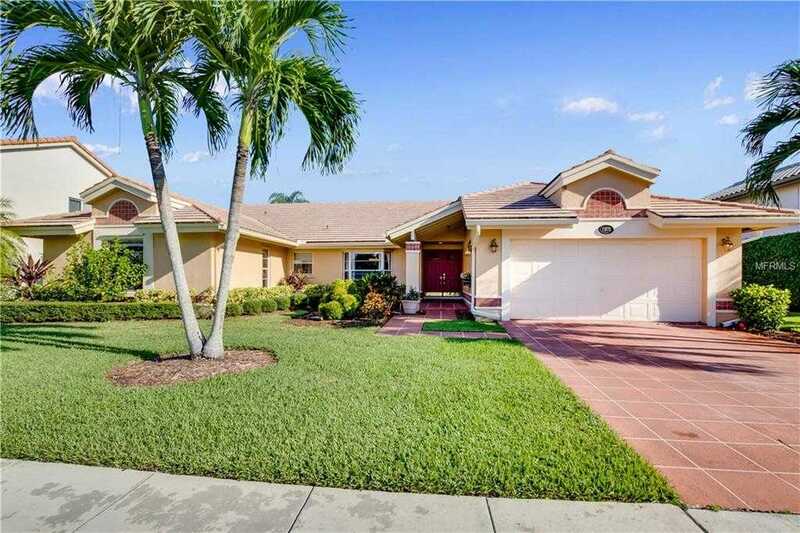 I would like to schedule a private showing for this property: MLS# O5741963 – $549,900 – 11870 Island Lakes Ln, Boca Raton, FL 33498.